Posted in Blog, Exchange 2010 at June 14th, 2012. 4 Comments. But when you go to your e-mail address policies and view the properties this domain is listed in none of your e-mail address policies. Solution: The domain was still set as a disabledGatewayProxy address on one of your e-mail address policies. Probably this is a leftover from a transition from exchange 2003. You can remove this by using Adsiedit, open Configuration naming context, Services, Microsoft Exchange, Organization Name, Recipient Policies, do properties on a Policy and find disabledGatewayProxy. Remove the address you would like to delete, repeat this for all policies. 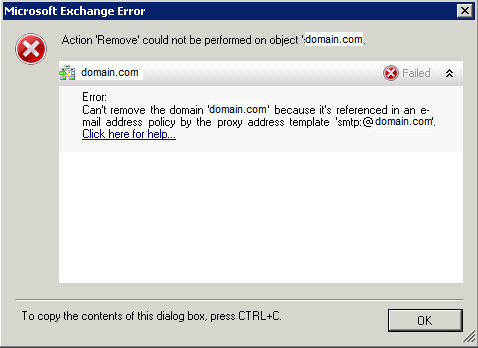 After removing the address from all policies you should be able to remove the accepted domain. Posted in Blog, Exchange 2010 at June 12th, 2012. 3 Comments. Because I get and see a lot of questions on the forums about migrations, how to’s but also about failures and people who don’t have backups to start over. So in this article I would put down some information what you could do to get your migration to a good end. Of course there is no one hundred percent guarantee, but there are some basics you should do that will help to bring it to a good end. I am writing this for a SBS migration but the steps can be used for most migration paths, SBS – SBS, Windows Server – SBS, SBS – Windows Server, Windows Server – Windows Server but also for Exchange migrations. It would be wise to read all information before you start your migration. First thing before you even start should be to make sure you have a good backup. Make sure you have tested your server backup, so might something go wrong during migration you always can go back to the original situation. It sounds like something you should take for granted, but you would not be the first one that starts the migration and something went wrong and would go for recovery and then they came to the conclusion there wasn’t a good backup at all. So always test it before you start! If your original server is a SBS 2003 server you can use the built in backup solution, see this document how to use it: Backing Up and Restoring Windows Small Business Server 2003. Second before you even start with the migration would be getting yourself familiar with the migration process. What migration you are going to do (there are more guides available) you should at least read through the complete guide so you know what you can expect. 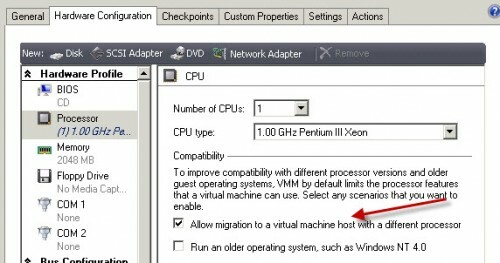 Better would be to do a test migration, make a copy of your original server (backup or image) to another physical or virtual machine in a separated network environment and complete the migration process. Than you know exactly what you can expect during the migration. If you do not get a good feeling by the process just do it over and over again or get yourself some help by another it professional before you start the migration for real. Next thing to do is to make sure your source (original) server is in a clean state and configured correctly. If the source server has already got problems before you start the migration, this will certainly end up in problems or failures. What you at least should do, make sure your server is up to date with updates, service packs, fixes, etc. Run the best practice or health analyzers for your product(s), it will give you all kind of information about what is configured wrong. Run tools like dcdiag.exe and netdiag.exe to check your server configuration. Check your servers even logs for warning en error messages. Make sure you fix all problems before you start the migration! When your server is completely healthy, configured right, read all information in the previous steps and you are prepared. Make sure you follow your migration guide step by step and only continue when you are absolute sure you’ve completed the step entirely. Take your time; no one will notice anything from the migration until you are going to move data. One of the problems that could give a failure is there is a time or time zone difference between the source and destination server. Make sure the time on the destination server is setup correctly in the bios. Do not choose to install updates during the installation, this would take a lot of extra time and can give all kind of troubles during the installation / migration. It is best practice to install updates after you completed the installation. Also see this article for some other known issues: SBS Team keys to success part 2 the setup phase. When you run into a “Cannot connect to the domain” error message in the early stage of the installation there are still some steps you could do, see this article. Now the actual installation can start, please not that this will take a couple of hours, so when the blue progress bar appears you could leave the server alone for a while. When installation went successful you will see a screen Installation Finished, Run the Migration Wizard to continue migrating to Windows SBS. But if you ran into any problem, error or something else goes wrong, don’t just continue; make sure you completely understand what your problem is. Look at the SBS Team keys to success part 3 post setup and common failures for some known issues and resolutions. If your error is not there and you have no clue, ask some professional or try some community forum like: SBS Technet Forum or Expert Exchange they might have a solution. Otherwise it would be good to start over because continue with errors will in most cases end up in a bigger unresolvable problem. 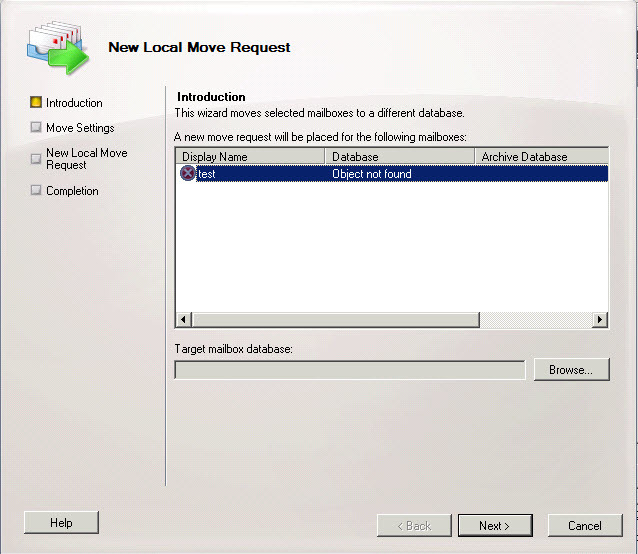 For a different migration approach with support you also take a look at SBS migration. For a lot of SBS 2011 information also take a look at my SBS 2011 index file with a lot of installation and configuration and all kind of other information. Posted in Blog, SBS 2008, SBS 2011 at January 12th, 2012. 5 Comments. 2011 was a year of mixed feelings, both on personal as professional view. Started with receiving the Microsoft Community Contributor Award and the birth of our second daughter Wendy the year started well. But in the second half of the year was a hard time on the business and the hardest time was when our oldest daughter had to be hospitalized for over two weeks, after that it were just ups and downs. So it went a little quit on the blog and community contributions. Statistic wise it was a good year, this was my first full year blogging. The views grew from 5000 views in January to over 40000 in December. The best viewed articles where the Windows Small Business Server 2011 installation and configuration articles with the SBS 2011 index file as most visited. Beside that also the Exchange posts “Recover deleted public folders Exchange 2010 with ExFolders” and “OfflineAddressBook, PublicFolderDatabase still points to old server” were visited very well. So hopeful 2012 will be a big change, a healthful year with some more time to post new helpful blog posts, I have plenty of ideas and do some more community contribution. Thanks for visiting my blog and hope you found the information very useful. Posted in Blog at January 4th, 2012. No Comments. 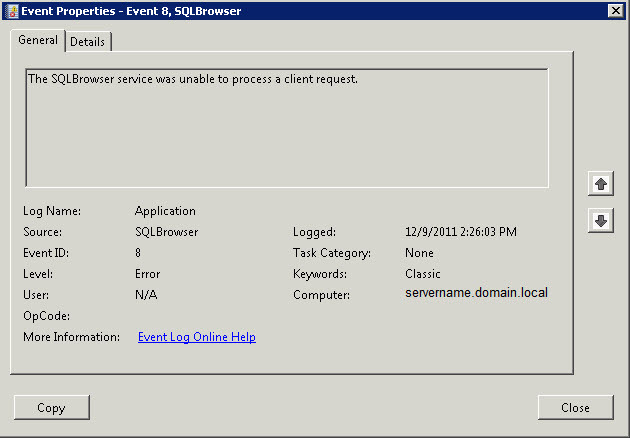 The application eventlog of your SBS 2008 server is flooding with the following error more than once a minute. I have seen this on multiple servers and it looks like the issue occurs when you install an additional SQL instance and enables the SQL Browser service. 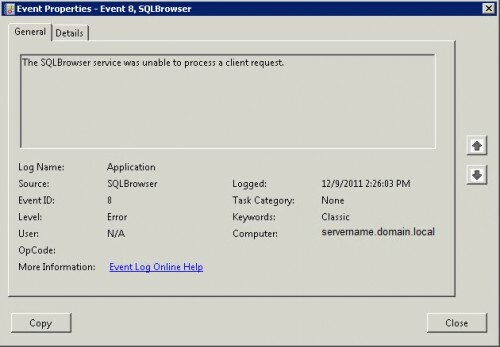 This does not occur on a standard SBS 2008 server, because the SQL browser service is disabled by default. Solution: After some research and found all kind of possible solutions, in my cases the problem was solved by enabling Named Pipes on the protocols for SBSMONITORING within SQL Server Configuration manager. If you have more SQL instance enable Named Pipes for all instances. To change this go to, Start, All Programs, Microsoft SQL Server 2005, Configuration Tools, SQL Server Configuration Manager. Browse to SQL Server 2005 Network Configuration (32bit) select Protocols for SBSMONITORING and rightclick Named Pipes and select Enable. Repeat this for every Instance you have additional created. Also checked this only occurs to SBS 2008 servers with SBS 2011 never seen this problem. Posted in Blog, SBS 2008, SQL 2005 at December 9th, 2011. 5 Comments. When running the Windows Small Business Server 2011 Standard Migration Preparation Tool it errors out with: “Error is found in DNS Zone domain.local”. Description: In DNS zone domain.local, your local server is not in the name server records. Migration will fail without fixing this issue. Go to http://support.microsoft.com/kb/2578426 for more details. When you just follow the link proposed you will find some possible solution for checking if the dns zone is set to Type: Active Directory-Integrated and that Dynamic updates is set to Secure only. Also to make sure on the Name Servers tab the source server is listed with correct name and / or ip address. All those settings were correct but the error keeps occuring. After some more research I found this thread with the same issue, solution for this thread was contacting microsoft support who complete rebuild the dns zone. With this information I had seen a minor difference with other SBS dns servers. In this customers DNS server when you take a look within the domain.local forward zone there was no _msdcs entry. There was a _msdcs.domain.local zone, so everything was like this picture accept the record within the red circle was missing. 4. Last restart the net logon service. After restaring the net logon service all the _msdcs.domain.local and the _mcdcs record are automatically recreated. Re-run the migration preparation tool and the error was gone. Update: There has now been a official SBS Team post on this issue, read here for additional information. Posted in Blog, SBS 2011 at October 20th, 2011. 17 Comments. 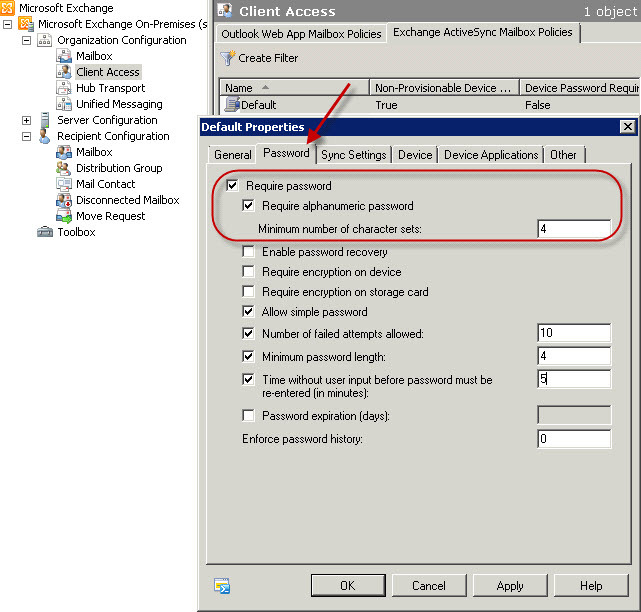 After you have configured your mobile device to receive its business e-mail via ActiveSync from your SBS 2011 Exchange 2010 server, it is asking for a 4 digit pin code. 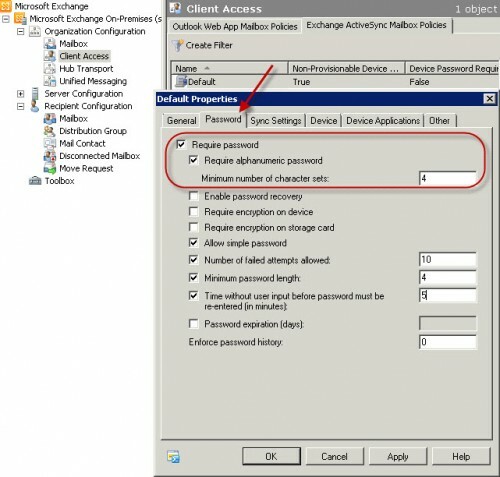 This is because the default configuration on the SBS 2011 Exchange Server is to require a password for ActiveSync devices when they are going to synchronize with your server. 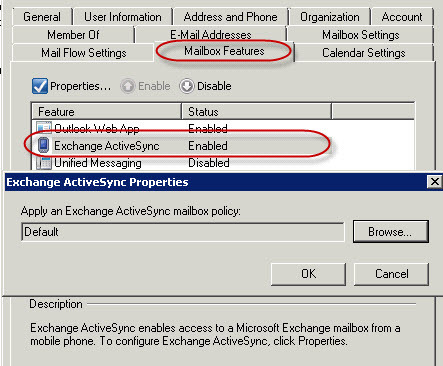 To disable or change this feature open Exchange Management Console, go to Organization Configuration, Client Access and choose the Exchange ActiveSync Mailbox Policies. 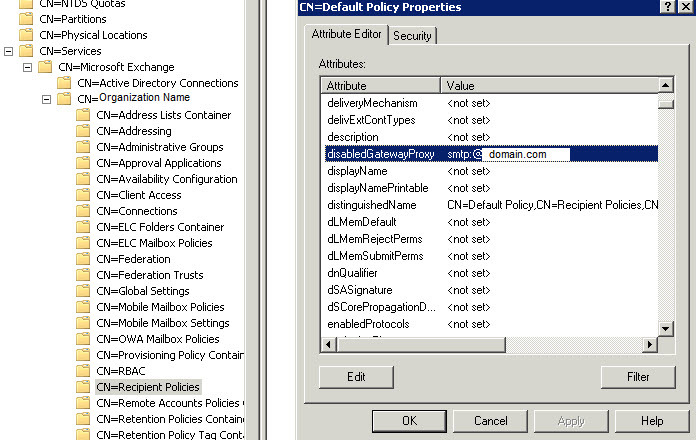 Do properties on the Default policy and select the Passwords tab. To completely disable the password remove the check at Require password. Of course you can also change the settings to your own requirements. You can also create separate Mailbox policies with different settings, so you can set other policies for different users. When you create a new policy and want to attach it to a user, go to Recipient Configuration, Mailbox, do properties for the Mailbox user you want to change the policy. Select the Mailbox Features tab, select Exchange ActiveSync and choose properties, now you can browse to select the other policy you have created. Please note not all features are supported with all kinds of mobile clients, so before you configure the settings make sure the settings are supported with your type of mobile devices. Posted in Blog, Exchange 2010, Howto, SBS 2011 at October 11th, 2011. 7 Comments. And when the wizard finished there was no mailbox created. 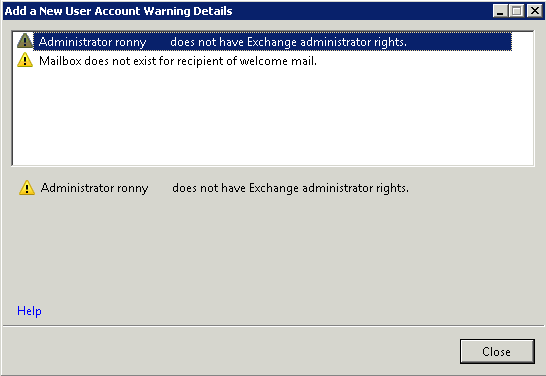 When you go to the Exchange management console you can create mailboxes without any problem. Solution: This problem occurs when the SBS Administrator account has it’s primary group set to Domain Admins, when you change it back to “Domain Users” the problem does not occur anymore. 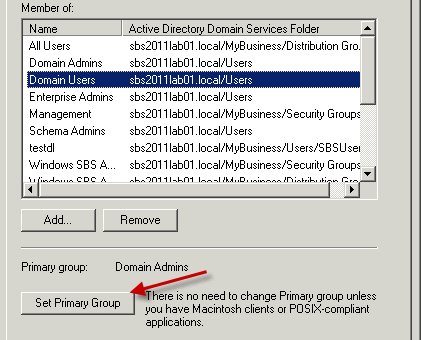 The primary group can be set by using Active directory users and computers go to the properties of the admin user and than to the Member of tab, select the Domain users group and tick Set Primary Group. Posted in Blog, SBS 2011 at August 8th, 2011. 3 Comments.